The trading price for Halma plc ticker lookup code: LON:HLMA has climbed 1.92% or 22 points throughout the session so far. Investors seem confident during the session. Range high for the period so far is 1173 and hitting a low of 1161. The volume total for shares traded up to this point was 346,693 while the daily average number of shares exchanged is 955,447. The 52 week high price for the shares is 1341 which is 195 points difference from the previous days close and putting the 52 week low at 1003 which is a difference of 143 points. 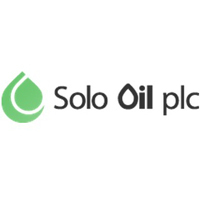 Halma plc now has a 20 simple moving average of 1188.22 with a 50 day moving average of 1212.96. The market capitalisation currently stands at £4,499.99m at the time of this report. The currency for this stock is Great British pence.Market cap is measured in GBP. This article was written with the last trade for Halma plc being recorded at Thursday, April 5, 2018 at 12:33:29 PM GMT with the stock price trading at 1168 GBX. The share price for Hargreaves Lansdown PLC company symbol: LON:HL has risen 2.27% or 37 points during today’s session so far. Buyers seem confident throughout the trading session. The period high was 1668 dipping to 1654. The total volume of shares exchanged through this period comes to 169,890 with the daily average at 887,472. A 52 week high for the stock is 1935 equating to 305.5 points difference from the previous close and the 52 week low at 1258 is a variance of 371.5 points. Hargreaves Lansdown PLC now has a 20 SMA of 1702.67 with a 50 day simple moving average now at 1742. Market capitalisation is now £7,938.48m at the time of this report. The share price is in Great British pence. Mcap is measured in GBP. This article was written with the last trade for Hargreaves Lansdown PLC being recorded at Thursday, April 5, 2018 at 12:34:02 PM GMT with the stock price trading at 1666.5 GBX. 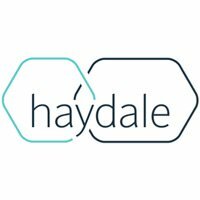 Stock in Haydale Graphene Industries PLC with ticker code: LON:HAYD has moved up 6.09% or 6 points during the course of today’s session so far. Buyers have so far held a positive outlook during the session. The high for the period has peaked at 104.5 and hitting a low of 98. The amount of shares exchanged has so far reached 40,729 with the daily average traded share volume around 83,448. A 52 week share price high is 204.96 which comes in at 106.46 points difference from the previous close and the 52 week low at 83 a difference of some 15.5 points. This puts the market cap at £29.77m at the time of this report. The currency for this stock is Great British pence.Market cap is measured in GBP. This article was written with the last trade for Haydale Graphene Industries PLC being recorded at Thursday, April 5, 2018 at 12:17:54 PM GMT with the stock price trading at 104.5 GBX. The share price for HSBC Holdings plc with company EPIC: LON:HSBA has climbed 1.12% or 7.4 points throughout the session so far. Investors have stayed positive during the session. The high for the period has peaked at 673.4 meanwhile the session low reached 667.2. The volume total for shares traded up to this point was 3,702,656 with the daily average traded share volume around 28,186,817. The 52 week high for the shares is 798.6 around 136.5 points difference from the previous close and the 52 week low at 618 a difference of some 44.1 points. HSBC Holdings plc now has a 20 moving average of 691.02 and a 50 day moving average now at 723.35. This puts the market capitalisation now at £134,331.17m at the time of this report. The currency for this stock is GBX. Market cap is measured in GBP. This article was written with the last trade for HSBC Holdings plc being recorded at Thursday, April 5, 2018 at 12:34:55 PM GMT with the stock price trading at 669.5 GBX. Click HAYD HL HLMA HSBA for the full archive.